Another recipe that brings me right back to one of my favorite places on earth….Doolan, Ireland. My sister and I were exploring the little village and stumbled across this tiny cafe. Our first lunch there consisted of sandwiches and their soup of the day. Yep, you guessed it. Curried vegetable soup. Maybe we were tired of the pub food at that point. Maybe we needed comfort food. After all, the weather that day was dark and dreary. A good bowl of soup was exactly what we needed. Well we went back again the next day, for that same bowl of soup. It was simply amazing. I searched and searched for a similar recipe but never had any luck….. Until I came across a cookbook that was simply called, ‘Soups’. I bought the book because of that one recipe. 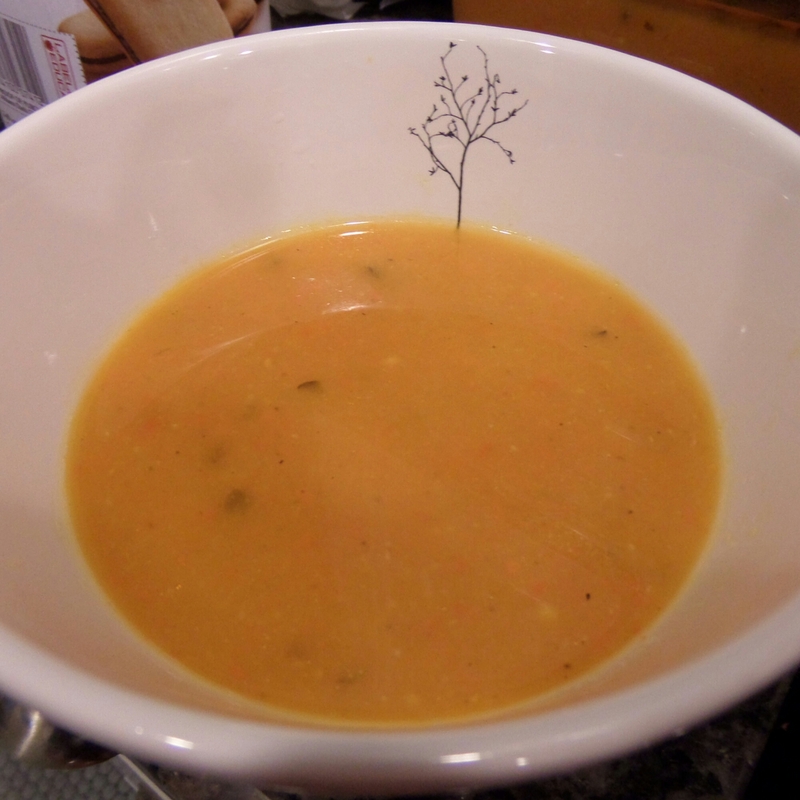 The recipe suggested the soup be made with couscous and shredded chicken. Sounds good but that wasn’t ‘my’ soup from Doolan. Also, the recipe didn’t call for the vegetables to be pureed into a creamy chowder-like consistency. That was what I really loved about my Doolan soup. 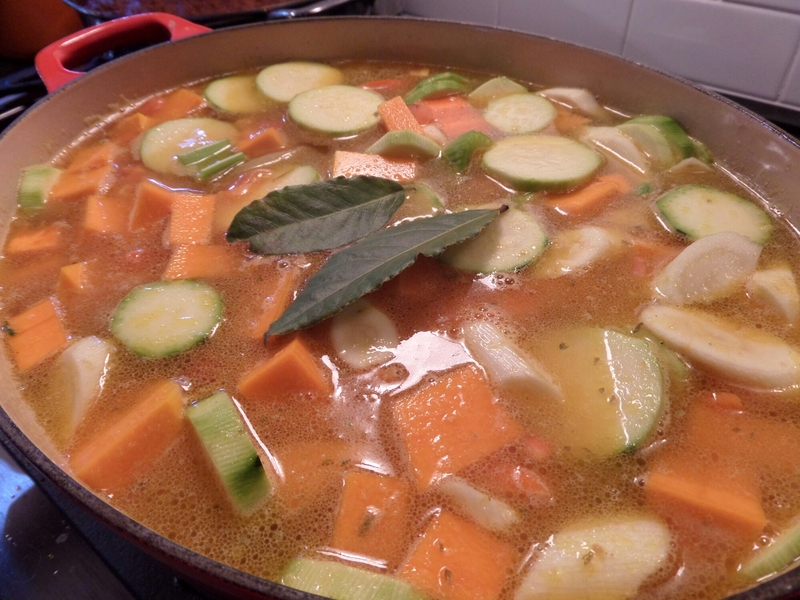 So I present to you, my version of curried vegetable soup…. And it’s DAMN close to that rainy afternoon reward. The soup takes about an hour to make but you’ll spend a good portion of that time prepping your vegetables. Cooking time is just 20-25 minutes. 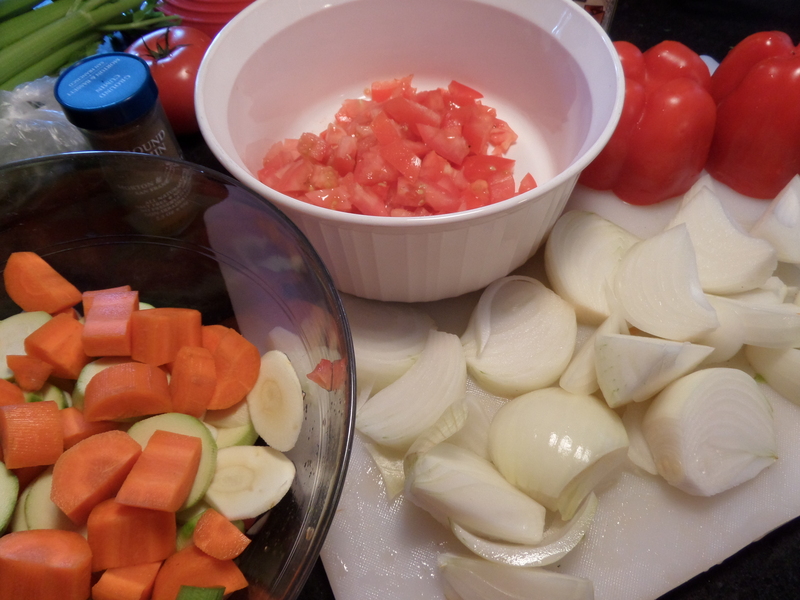 All the vegetables can be roughly chopped, which makes things go quicker. 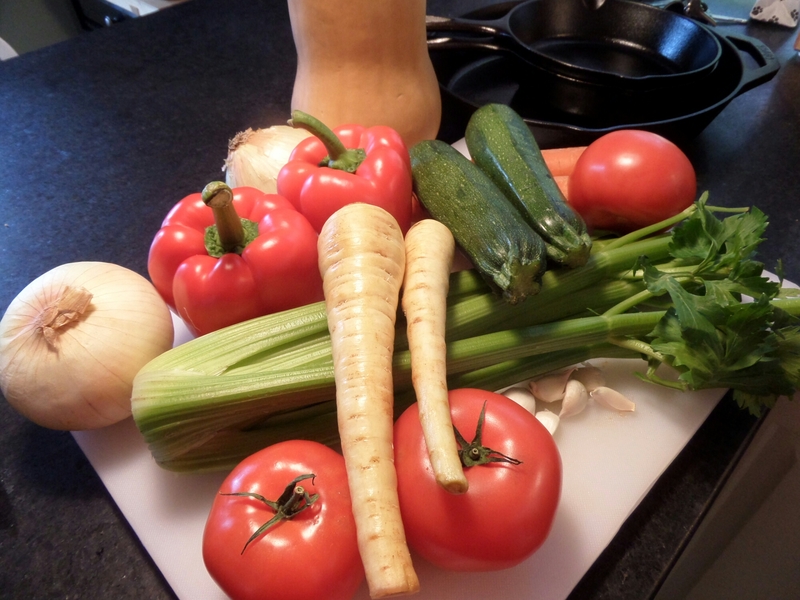 Just make sure all the veggies are relatively the same size, once chopped, to ensure an even cooking time. Summer squash can be a super pain to chop. Here’s a handy guide on how to get the job done. 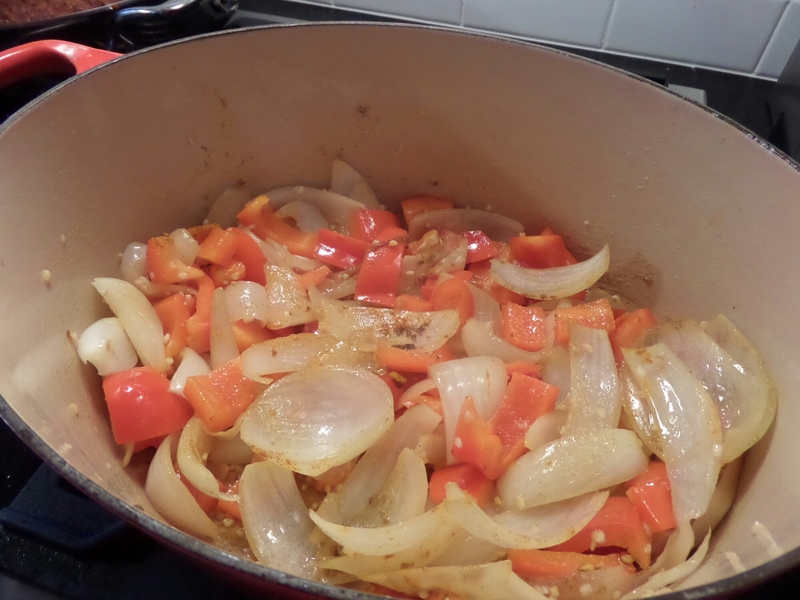 The aromatics are added at the beginning, while the onions are sweating and the bell peppers are softening. The rest of the veggies get thrown in, along with the chicken stock. It simmers for 25 minutes, or until the squash is soft. A quick run through a blender or food processor and you have a bowl of pure silk. Heat a non-reactive pot over medium heat. Add a couple of tablespoons of olive oil (enough to coat the bottom of the pan). Add onions, garlic and peppers until the peppers are soft. Add the turmeric, cumin and ginger. Cook for another few minutes. 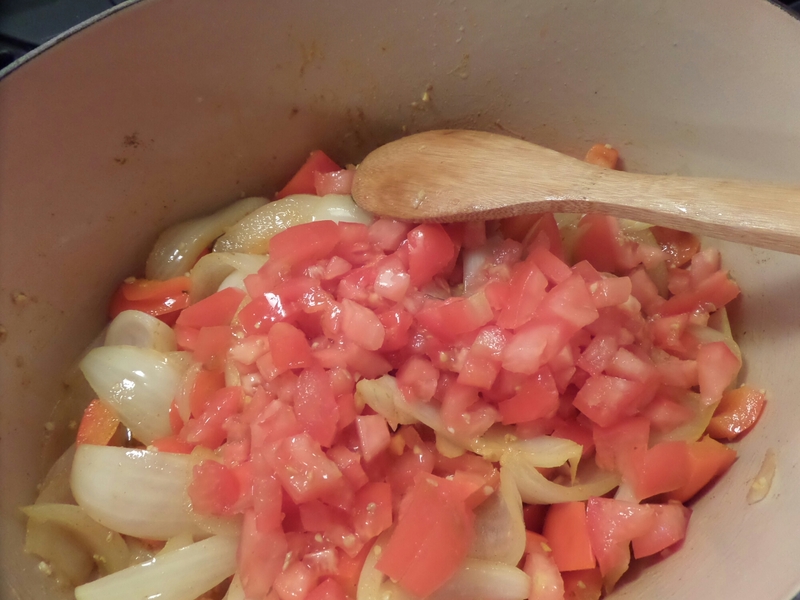 Add the tomatoes and cook for another 4-5 minutes. Add the rest of vegetables, bay leaves and the stock. 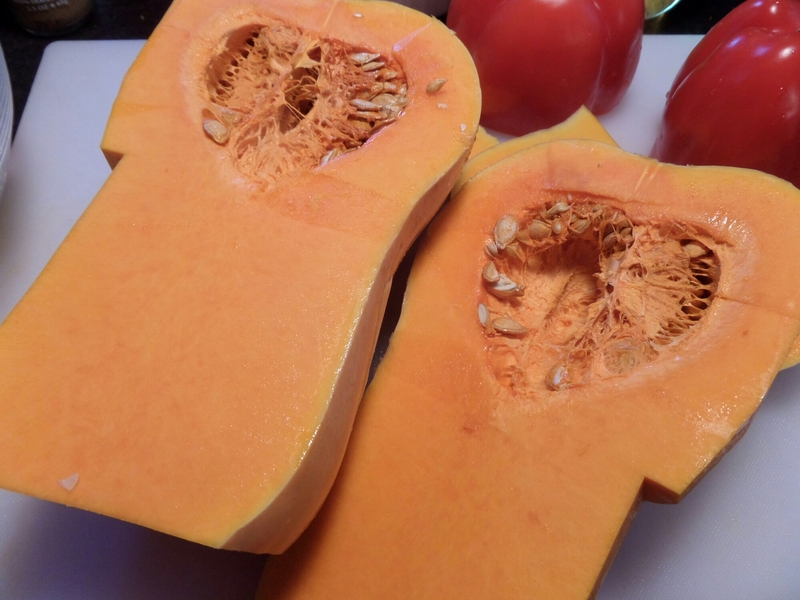 Once it comes to a boil, turn the heat down to low and let it simmer for 20 minutes, or until the squash is soft. Remove the cinnamon sticks and bay leaves. Using a sieve, remove the vegetables from the broth and puree in a blender or food processor. You’ll need to do this in batches. Once all vegetables have been pureed, whisk them back into the broth, over low heat. A beautiful, healthy, comforting bowl of soup.